Here’s an example of how my mind jumps around too much. I knew when I started 1981 that I wouldn’t be able to get everything in regards to my life in perfect chronological order. 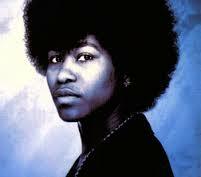 So in order to talk about “Me, Myself, I” from Joan Armatrading, I have to go back to Rota, Spain. We were granted a night’s liberty that night so my friends and I made a made dash to the Enlisted Men’s Club and started cracking open the Budweisers about 5:30 that afternoon. Providing the entertainment that night would be an English covers band called The Tender Years, who played some good rock tunes that night. What I remember most is because they were playing to a bunch of US servicemen and women, they put up a large sign that read, “We don’t play Freebird.” Of course, that didn’t stop the crowd from shouting out for it. Anyway, one song they played was the title cut of this album which stuck in my head. Good song, I thought to myself. However, I never did anything about it until later on in the summer when I heard that song played again on the radio and while the female lead singer from The Tender Years sang it well, it wasn’t as nearly as good as the original. Hearing it back then and hearing it again now, I have to disagree with Wikapedia’s labelling of the album as “pop.” I doubt it would have been considered that back then even though disco was in it’s final throes of death. If I put a label, it would have to be soft rock or progressive rock. In some of the songs, “Ma Me Oh Beach” comes to mind here, Joan’s Caribbean roots definitely poke their nose above ground and if listened to carefully, some other songs as well. What really grabbed me is the fantastic guitar solos laid down in the title track and in the more bluesy track, “Turn Out the Light.” The latter also is best for showcasing her vocal credentials. Then I also love the electric piano at the intro. Hell, it’s the second best song on the album and a good one! “Friends” and “All the Way From America” also stand out on this album for me. 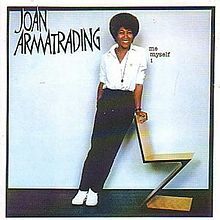 What I know now that I didn’t know then was the amazing array of musicians that assist in propelling Joan to her glory. Paul Shaffer from David Letterman fame plays keyboards on the album and Clarence Clemmons from Bruce Springsteen’s band does what he does best with the sax. But one further surprise, the drumming chores are carried out by none other than Anton Figg, who has played for KISS and later Ace Frehley. So with an ensemble like that behind her, no wonder this album is so good.